Understandably, almost all things related to the 48th Super Bowl between at the MetLife Stadium in New Jersey are either expansive (i.e. tickets, parking permits, or stadium foods) or time consuming (i.e. train rides home after the game). 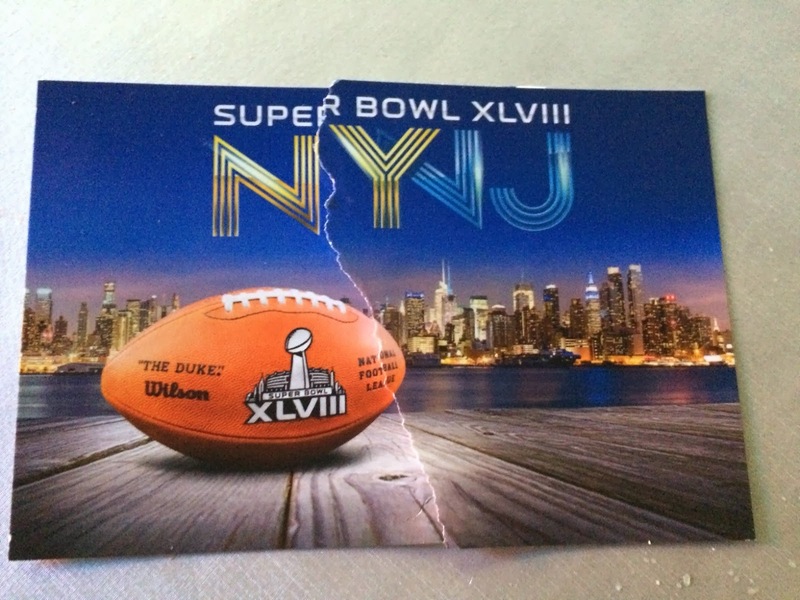 However, according to Ed Beeson/The Star-Ledger, fans to the Super Bowl XLVIII did receive picture postcards with commemorative stamp, courtesy of the NFL, as one of the few freebies. So far, all the postcards featured on my blog are the ones I sent or received or possessed. I am breaking the tradition today by putting this postcard to my wish list. If you have an extra copy, blank or mailed, would you please send it to me? Contact me for postal address.